Server automatically installed in under 30 seconds! One-Click install from a huge list of modpacks, all pre-configured for you! View status, start stop, and edit settings of your server (or servers) from a single page. Change common settings using our wizard like forms or edit the file directly, the choice is yours. There's over 200 mod packs ready to go with a click, or ask our support team to install one that's not there. You even have access to install your own modpack and we can even help you set it up for no extra charge. Another exciting update, "Village & Pillage" has finally been released ...	read more. Minecraft v1.14 is almost here! We have been...	read more. We've added improved crash management system for Minecraft servers. Not only to reduce crashes, but ...	read more. what is STIPE minecraft hosting? 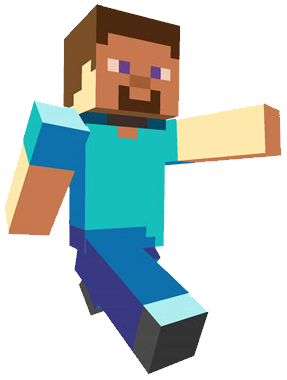 STIPE has the infrastructure to power thousands of minecraft servers and an amazing interface to let you control it. These are extremely powerful servers which run 24 hours a day, 7 days a week. All through a simple prepaid system and no contracts! Regardless if you're a beginner who wants to share and explore world with friends & family or a pro server expert ready to build a massive server for a community with custom mods, packs, add-ons, jars, databases etc. STIPE has created a powerful, flexible, yet simple solution for anyone who wants a minecraft server! can I get help when I need it? If you need something installed, broken something, or just need some advice, we are here waiting for you. We've grouped up its features from simple, medium to advance usage. The more you use the control panel, the more features you will discover! STIPE also gives you access to 100's of one-click install packages to choose from, ranging from various Bukkit, FeedTheBeast, Tekkit and AtLauncher you don't even need to upload to get your favourite mod pack going! And if it's not listed tell us and we will install it for you within minutes! what about access and resource limits? You're privileged with as many CPU cores, IO, and network bandwidth you need. Our unique sandbox solution protects your data from intrusion and harm to the server. If your not happy for any reason, simply change your mind, or need the cash for something else, whatever the reason! You are even free to come back another time and try again later! Today at 08:11:30 - Miencraft v1.14 is here! 20 April 2019, 13:56:48 - Minecraft v1.14 is almost here! 15 April 2019, 07:48:10 - More updates on its way! 05 February 2019, 10:39:19 - More servers galore! 06 September 2018, 23:27:14 - Backup upgrade! 19 July 2018, 04:58:27 - Minecraft 1.13 AQUATIC UPDATE released! 07 June 2018, 19:44:40 - So many updates! 22 December 2017, 16:34:15 - Seasons Greetings! We've updated and revamped some of the Ark Survival Evolved interfaces to allow for easier mod management. File Explorer has also been updated similar to that for Minecraft. Happy Arking! 25 July 2017, 07:40:36 - Prizes up for grabs! Win a Corsair Gaming VOID 7.1 USB Gaming Headset! Prize winner will be randomly picked. 07 June 2017, 23:04:11 - Minecraft v1.12 - World of Colour released! 08 April 2017, 09:33:06 - STIPE Ultimate Linux Servers Released! 28 February 2017, 07:12:55 - Mod Updates Galore! 1500 modpacks have been updated via our mod system over the past year, that's the highest peak of modpack updates ever! Special thanks to our staff members SirJorge and Ultra who have been working hard to keep these numbers updated for our customers! 10 October 2016, 16:45:56 - So many updates! Past 2 months have been so busy in the world of Minecraft! Modders and communities continue to improve their modpacks and make new ones. Our staff have spent a considerable amount of time keeping up with these new updates making sure our customers can install and play with just a click of a button! ... the list just keeps on going! Rest assured if your latest modpack is not listed, just let us know and we will add it in for you! Or do it yourself if you like - choice is yours! Please note the latest update of CSGO is no longer compatible with sourcemod and will cause your server to crash! Not to fear a new patch has been released! We have added it in the ADDONS section. Just click UPGRADE to the sourcemod mod in ADDONS section. Any issues just ticket us! 09 June 2016, 16:20:39 - Minecraft 1.10 Frostburn Update! Bukkit and SPIGOT v1.9.4 released! 19 March 2016, 00:51:48 - Teamspeak 3 has arrived! Finally, TS3 Control panel is complete and we now have it ready for sale in our products section! Enjoy the massive performance and stability with superb DDoS Protection! 01 March 2016, 08:10:36 - Minecraft 1.9 - Combat Update is HERE! The long waited Minecraft v1.9 is finally out! Customers may install the latest version easily by going into the Control Panel --> Addons and Plugins section. Minecraft Vanilla 1.9: Ready in Control Panel! CraftBukkit 1.9: Ready in Control Panel! SpiGot 1.9: Ready in Control Panel! Forge 1.9: Ready in Control Panel! 15 January 2016, 08:12:51 - Another new server in Sydney! Our new hot server box has finally arrived and has been made live! The checkout system is ready to take orders once more. Thanks to those who has been waiting patiently for their new server. STIPE wishes all a Magical Joyous Holiday Season and a New Year filled with Peace and Happiness. 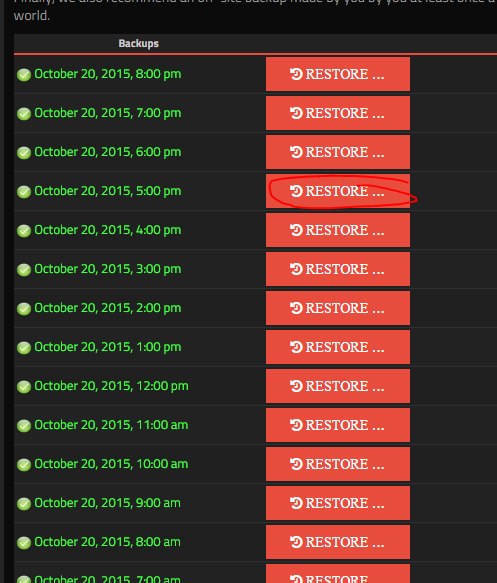 03 November 2015, 11:06:22 - 4 more boxes up and running! 18 October 2015, 22:32:06 - What's cooking with STIPE?